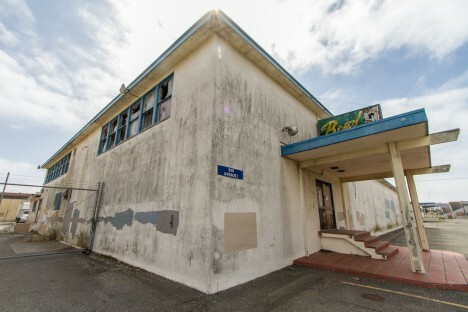 The Treasure Island Bowling Alley was closed in 1997 when the Navy base in this San Francisco district was closed after a 60-odd year run. 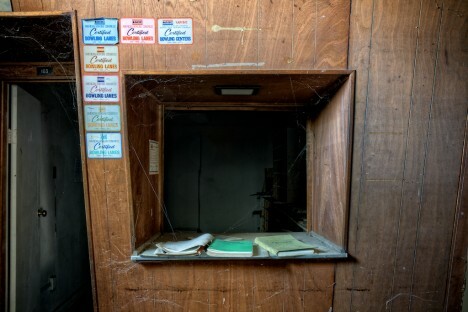 The alley is locked tighter than a battleship so the only photos around depict the 620 Avenue (9th Street) building’s exterior. The above images come courtesy of Flickr users bhautik joshi, Noel Kerns (above), and Matt Kay (below). 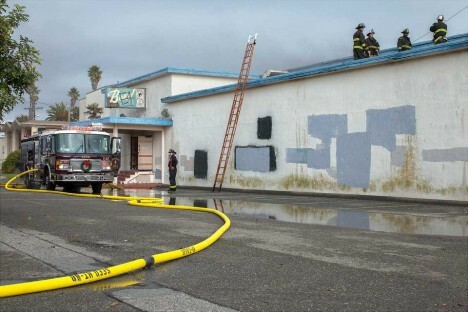 Kay’s photo dates from November 29th of 2014 when, in the words of Kay, “No less than a dozen fire fighters with four trucks arrived to put out a small fire at the bowling alley. 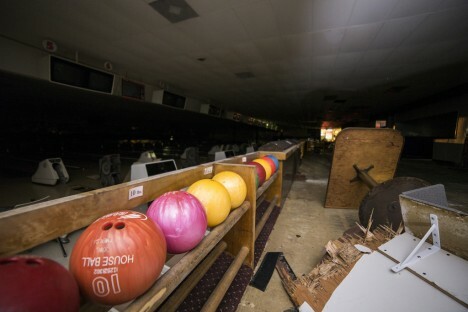 They wanted to be aggressive in dealing with the situation due to hazardous materials inside the abandoned building.” Hazardous materials in a bowling alley? 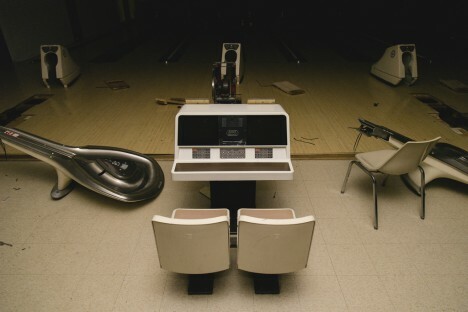 It’s more likely than you think: both the pins and lanes may have been coated in explosive nitrocellulose lacquer. 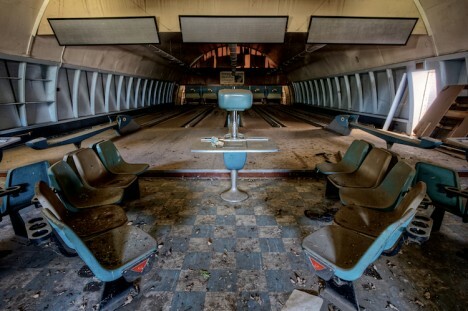 A line of gumball-like bowling balls adds a note of cheer to this doomed abandoned bowling alley snapped by Abandoned World in October of 2015. According to the urbex explorers, the alley was being prepped for demolition at the time and it’s doubtful any traces of it remain. 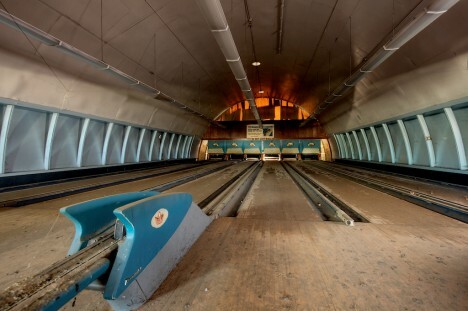 An abandoned bowling alley in a Quonset hut? Yes please! 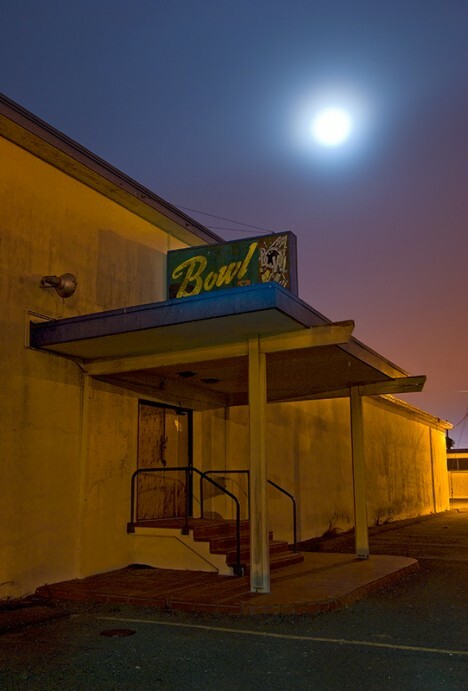 Flickr user rustyjaw captured the essence of this deserted yet relatively clean U.S. Navy bowling alley in late October of 2009. 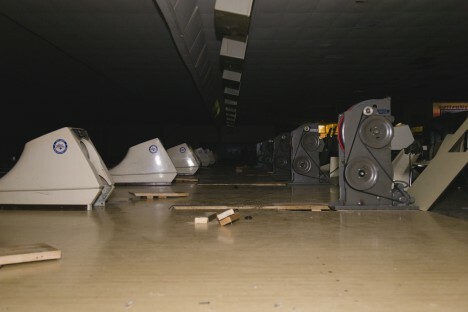 Wonder if they could fire bowling balls when the cannon balls run out. 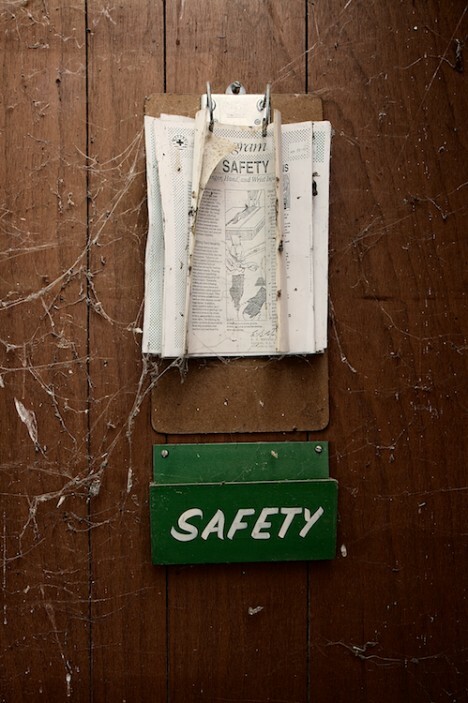 Call it a (puts on shades)… first strike policy.